KISS will perform a rare club show in Los Angeles next month as they kaunch their “End Of The Road” farewell tour. The band will play an intimate invitation-only show for SiriusXM subscribers and VIPs on Monday, February 11 at the legendary Whisky a Go Go on the Sunset Strip in Los Angeles. The event will mark the first time KISS has played a club in over twenty years and will be their first performance at the world famous venue. The club will be recorded and broadcast on KISS' limited-run specialty SiriusXM channel, KISS Army Radio – which will run on channel 30 from February 4-17. KISS will begin the “End Of The Road” farewell tour in Vancouver, BC on January 31, followed by a two-month summer series in Europe that will start in late May. 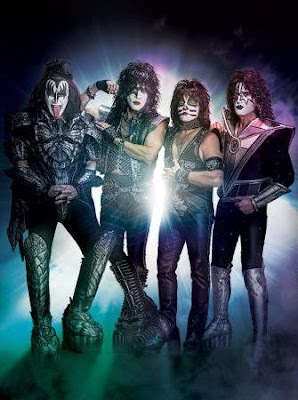 Originally issued in the UK in 2017, “KISSWORLD” will make its North American debut in 2019 via CD and digital formats, while standard black vinyl and limited-edition color vinyl editions will be released on March 29.